Why Choose Garrett Roofing Services? We are small enough to give the personal service needed and large enough to accomplish any services you might need in roofing! At Garrett Roofing Services, our first mission is quality. We will never sacrifice quality for price! 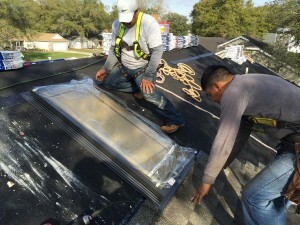 Our standard process of re-roofing includes a 1-year re-inspection visit, free of charge. This visit confirms your roof system is holding up to the elements of the brutal weather in Florida. And this is one of the many reasons Garrett is the right choice for you! Specializing in Metal, Tile, Shingle and Flat Roof Systems.